Signs all around that spring is finally on its way. The flowers are beginning to bloom and on the way back from collecting my mother we saw a male Brimstone butterfly flying across the road. 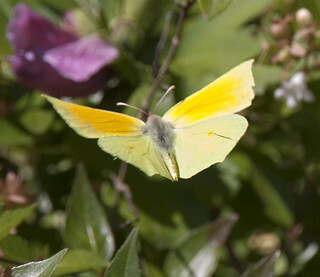 This bright yellow male is one of our most distinctive butterflies and easily identified even at a distance. After Lunch we all went for a walk around the Tarn. There was plenty of evidence of nest building (especially amongst the small birds) although there were not any nests or incubating yet that I could see for the geese or waterbirds. 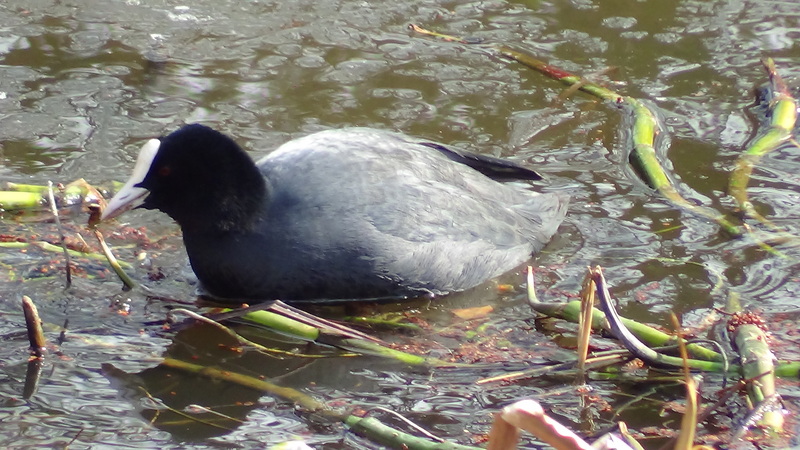 Not a bird you would see in the wild in the UK, but an interesting oddity in bird evolution. 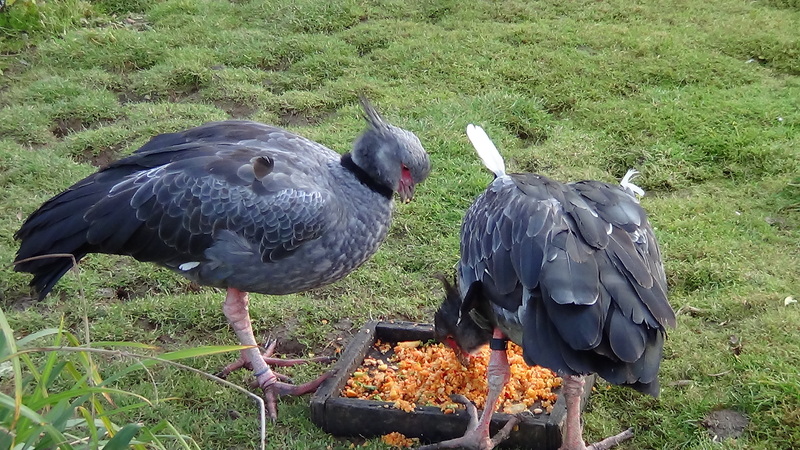 The Crested Screamer comes from central South America and gets its name from its call which can be heard up to 2 miles away. 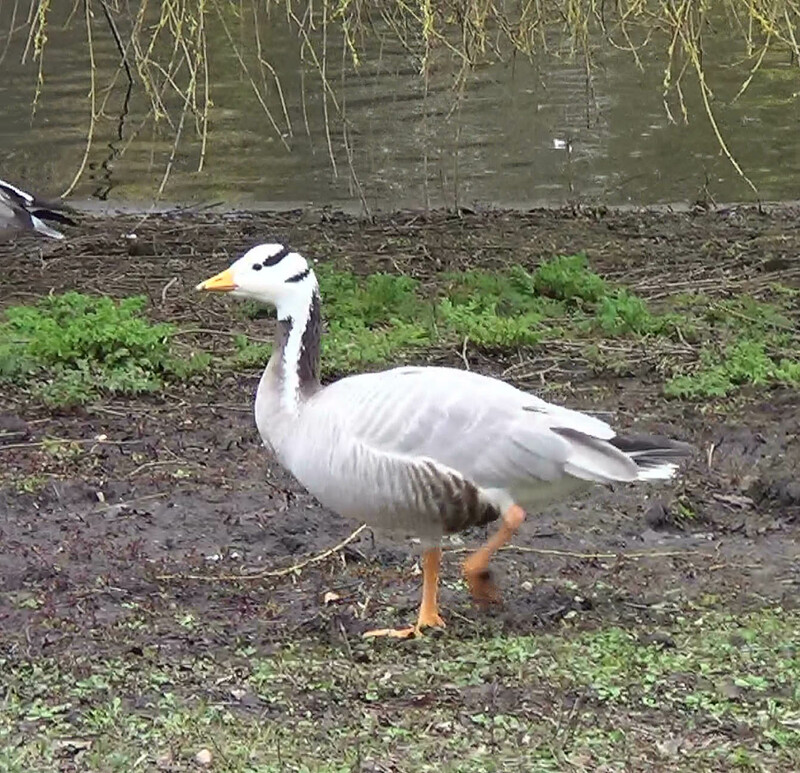 Some biologists believe it is a link species between Swans, Geese and Gamebirds. 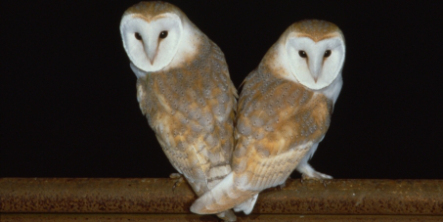 Its has a number of odd characteristics including hollow leg bones which make it much lighter than it would first appear and two bony spurs on its wings which it uses as a method of defence. HMS Trafalgar was a 120 gun ship of the Line built at Woolwich in 1840-41. In an age of great change for the Royal Navy she was the last ship of her type to be built. She was launced by a neice of Admiral Lord Nelson in the presence of Queen Victoria and Prince Albert using a bottle of wine taken from the stores of HMS Victory at the time of the battle of Trafalgar. 100 Trafalger veterns were on the ship for the launch. She took part in the bombardment of Sebastapol in the Crimean war in 1854. She was converted to screw propulsion in 1859 and retired from active service in 1873. She was renamed HMS Boscawan and sent to Portland Harbour to act as a training vessel. She was retired in 1906 when the training school moved to a land base in East Anglia. 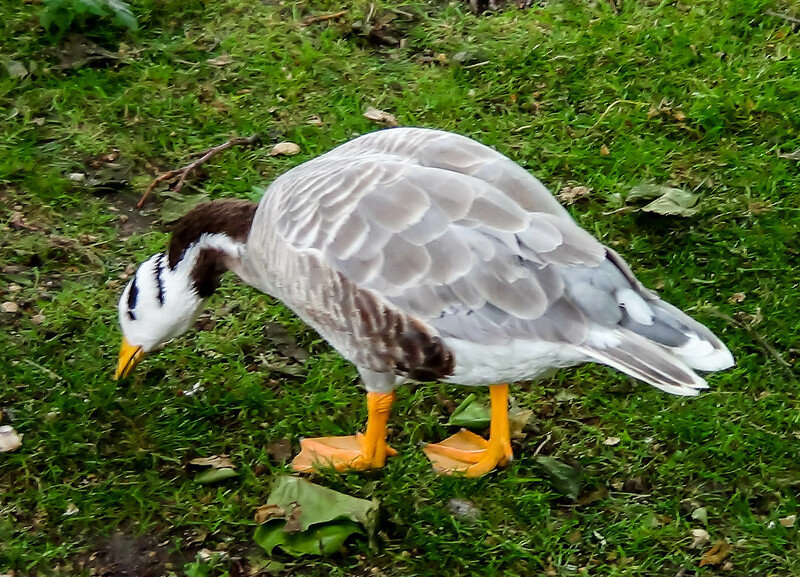 The Bar-headed goose comes from Central Asia but is frequently reported in the UK due to escaped birds from Wildfowl Collections. 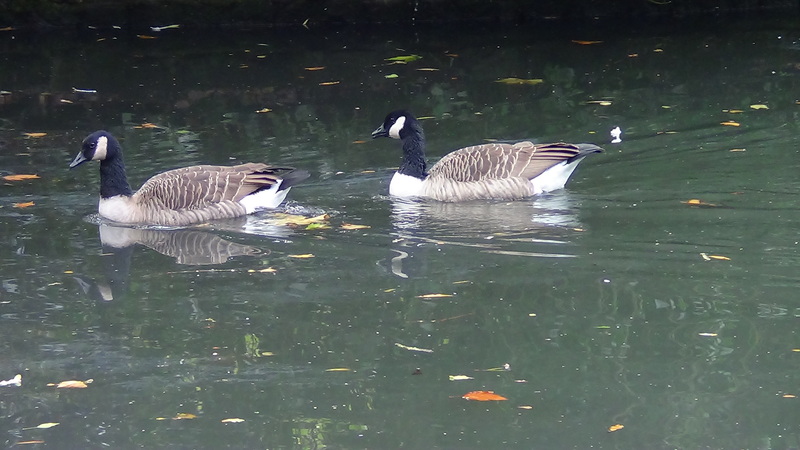 It is an occasional breeder, although this is estimated at less than 10 pairs per year. 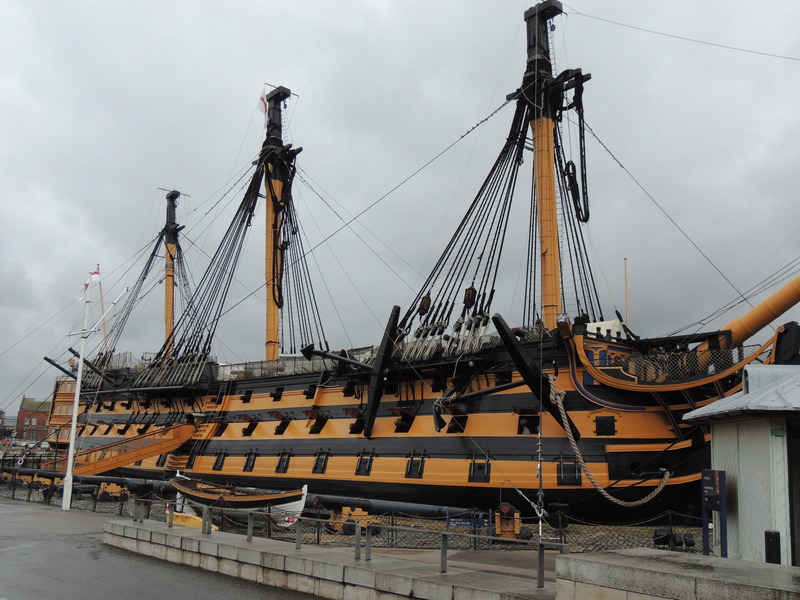 Following her withdrawal from active service HMS victory was sent to Portsmouth harbour to act as a depot ship for the naval dockyard. There seemed to be little interest in her in the following years, although Princess Victoria is recorded as visiting the ship in 1833. In 1889 the ship became part of the naval school of Telegraphy until this moved to a permanent base at Chatham dockyard. 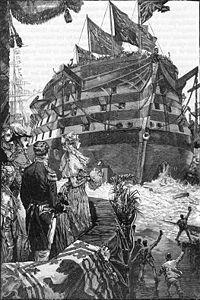 In 1903, Victory was holed by HMS Neptune, which had broken free whilst it was being towed from the dockyard for scrapping. Emergency work managed to prevent the ship from sinking, but it now seemed likely that it, too, would be scrapped and it was only the intervention of King Edward VII which prevented this from being carried out. In 1905 and 1910 some efforts were made to commence preservation of the ship, but it was not until the ‘Save the Victory’ campaign of 1921 there any real progress was made. Victory was moved to drydock in Portsmouth harbour in January of 1922 and restoration was commenced. This work continued over the years that followed only being interrupted by the Second World War, during which victory was damaged by a bomb, which was dropped on the dockyard. It is interesting to note that some restoration work identified in 1922, was not finally carried out until 2012. 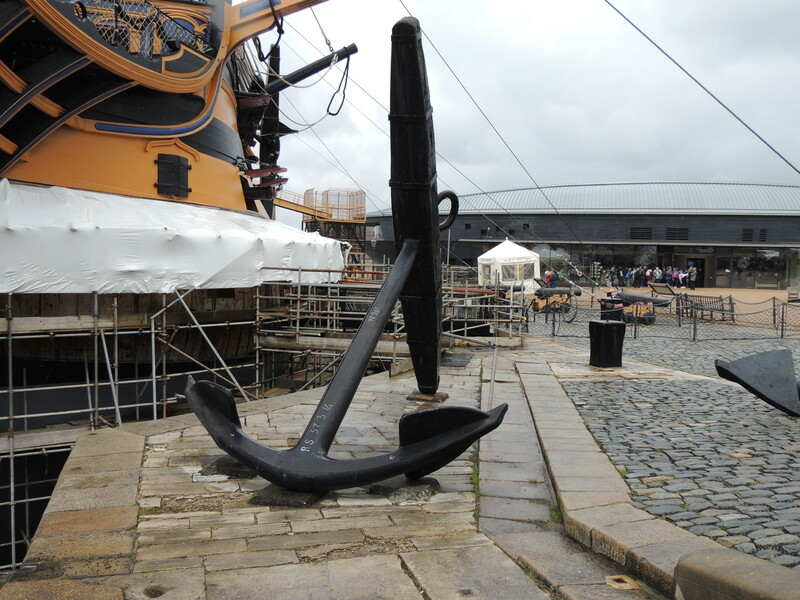 The restoration work continues today – currently work is being done on her masts and outer planking. HMS Victory is still listed as an active naval ship, officially serving as the flagship of the first Sea Lord (The head of the Royal Navy). 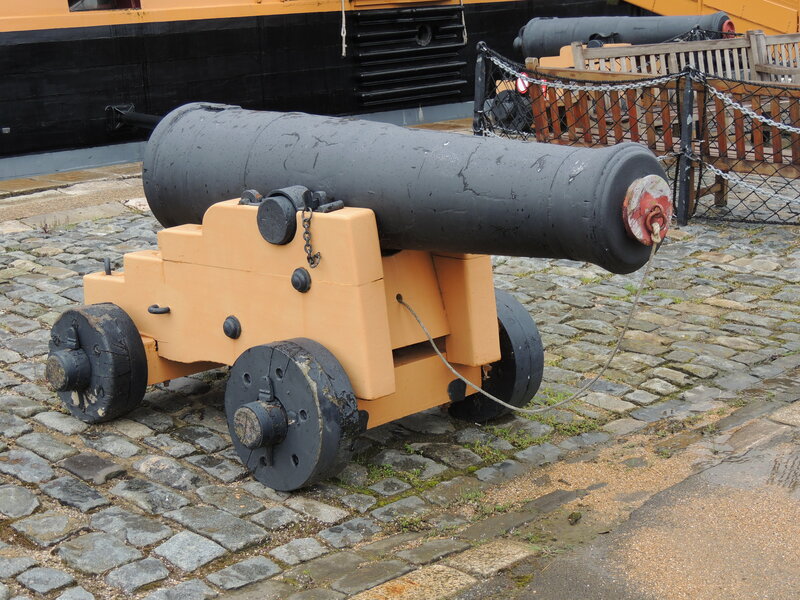 A visit to Portsmouth allowed me an opportunity to spend a couple of hours in the historic naval dockyard. The main purpose of my visit was to see the new Mary Rose exhibition, which had opened since I was last there. I will post about the museum once I have sorted out the photos that I took on the day. 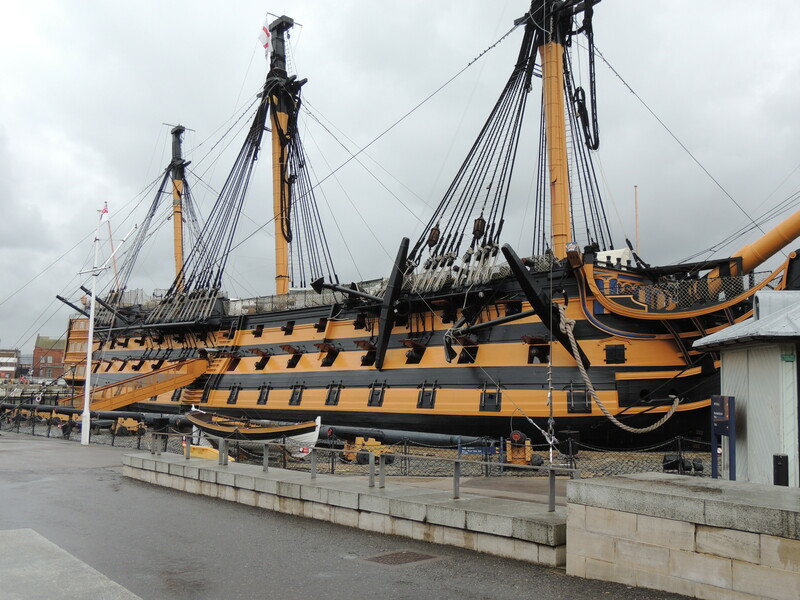 On the way to the new exhibition hall, I had to pass HMS Victory and whilst I did not have time to go on board (this will have to wait for another day) I thought I would still do a couple of posts on the history of the ship. 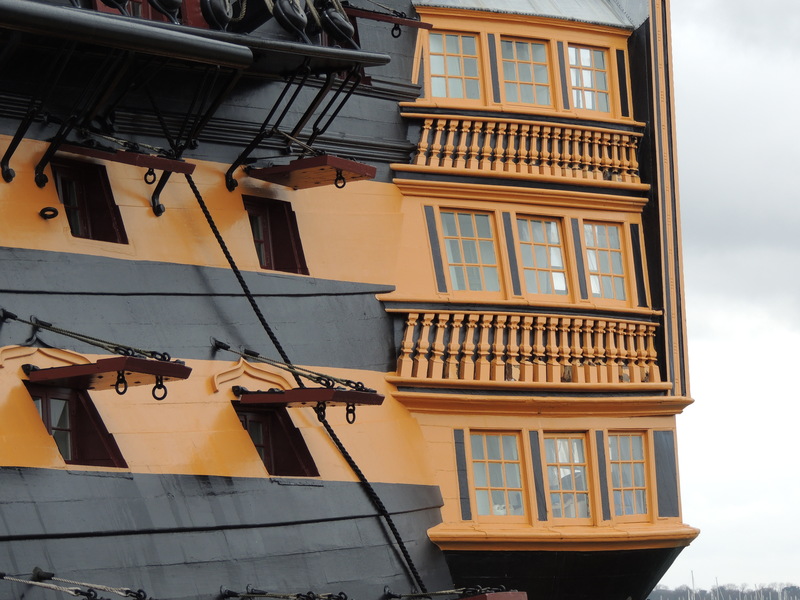 HMS Victory is a hundred and four gun ship of the line which was built at Chatham starting in the year 1759. 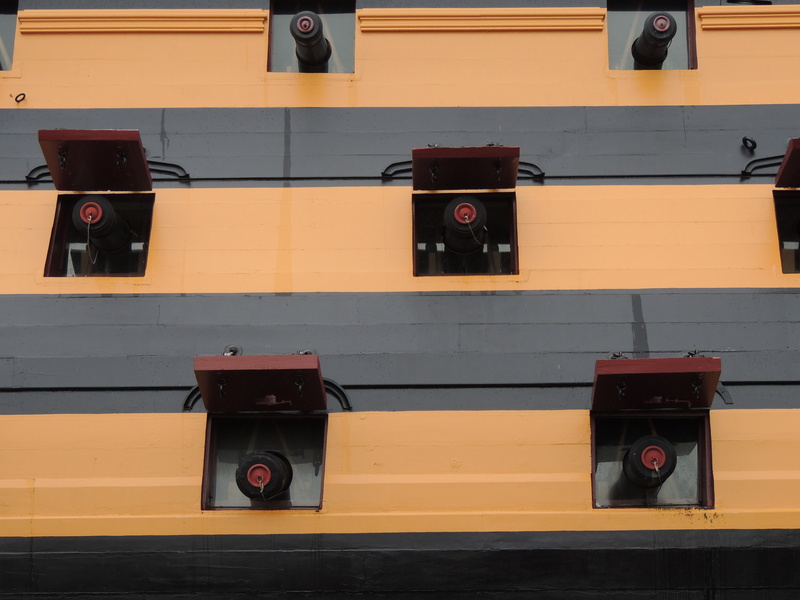 It was only one of 10 ships of this size that were been built in the 18th century. The name Victory was chosen to replace the ship of a similar name which had been lost at sea with all hands in 1744. The keel frame was laid, but then work came to a halt and was not restarted until 1763. Two years later Victory was finally launched, but by now the war was over and she was moored on the River Medway as part of the reserve fleet and didn’t receive a commission until 1778. In her role as Admiral’s flagship she saw action at the first and second battles of Ushant (1778/1780), the siege of Gibraltar(1782) and the Battle of Cape St Vincent(1797) where she was the flagship of Admiral Jervis. Interesting to note that one Capt. 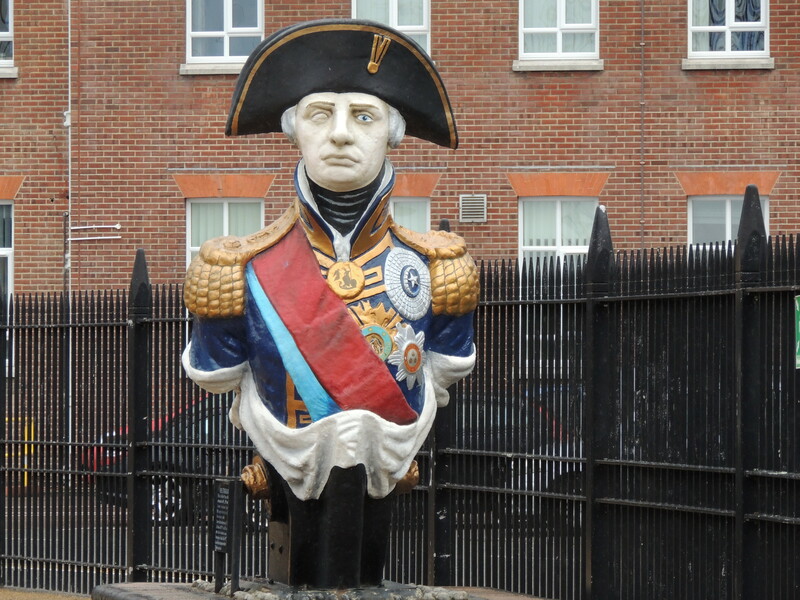 Horatio Nelson was also present at this battle commanding one of the ships in Jervis’s fleet. As a result of this battle Victory was declared unfit as a warship and returned to Chatham dockyard where she saw service as a hospital ship. But in 1800 work was started to return her to warship status. On 31st July 1803, Vice Admiral Horatio Nelson raised his flag on Victory when she joined his fleet in the Mediterranean. On 19 October, she was involved in the Battle of Trafalgar, during which she was badly damaged and Nelson was killed. As a result of the damage susytained she was towed back to Gibraltar for re-fitting. Back in active service she continued to serve as an Admiral’s flagship until she was finally withdrawn from service in 1812, and sent to Portsmouth harbour to act as a depot ship. 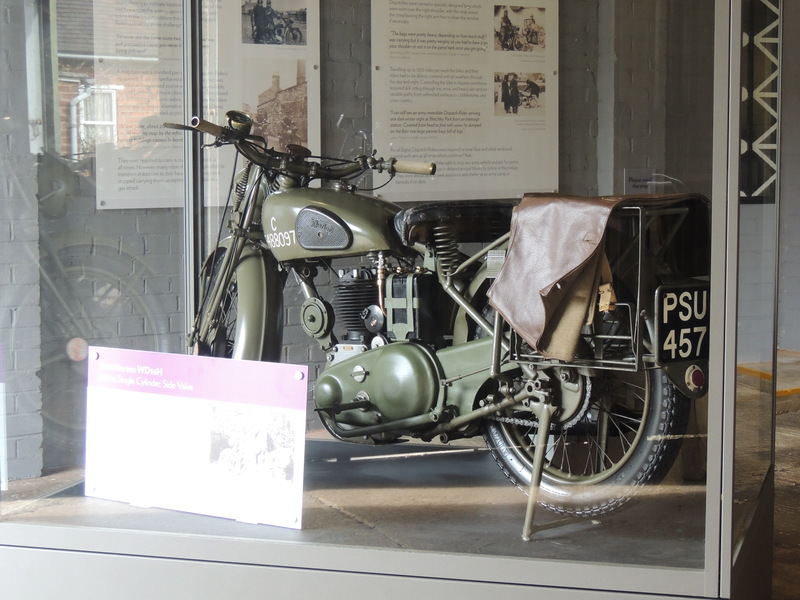 Most of the signal intercepts that arrived at Bletchley Park came by the hands of the motorcycle dispatch riders, who came into and out of Bletchley Park by a gate at the rear of the complex. 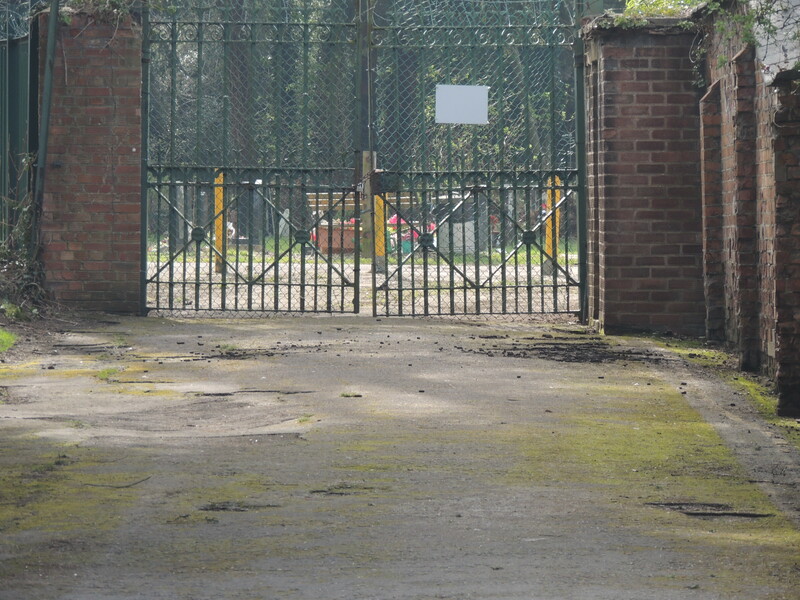 The gates at the rear of the Park where the disptach riders arrived and left. The dispatch riders could stop any army vehicle in an emergency and asked for petrol. They were not held up or delayed at road blocks by either the police or the military and they could seek assistance and shelter at army camps or barracks when on duty. But it was a hard and dangerous job. They had to travel backwards and forwards from the intercept stations at all times of day and night and in all weathers. One worker at Bletchley remembers “. 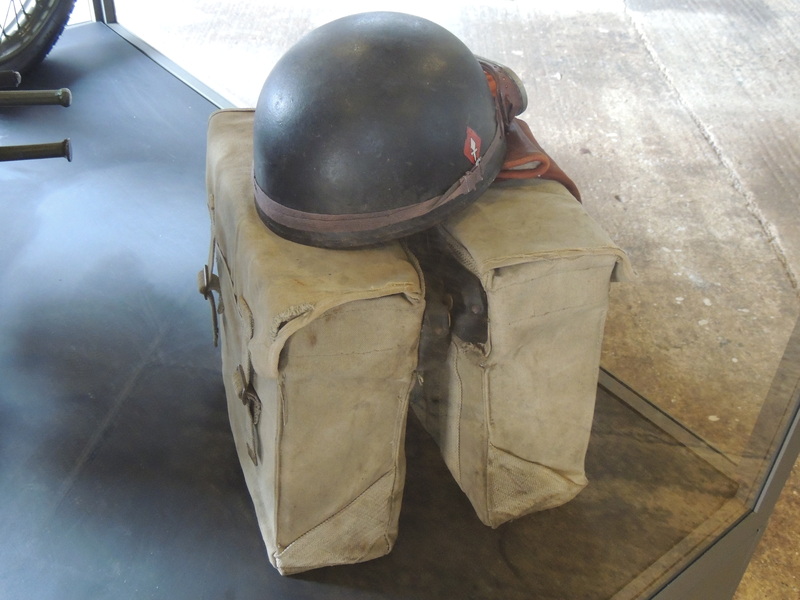 I can still see an army motorbike dispatch rider, arriving one dark winter nights at Bletchley Park from an intercept station, covered from head to foot with snow. (James Thirsk). Another recalls “The debt that we owe to these riders, who face all kinds of weather on their motorcycles has never, to my knowledge, been properly recognised” (Gordon Welchman). 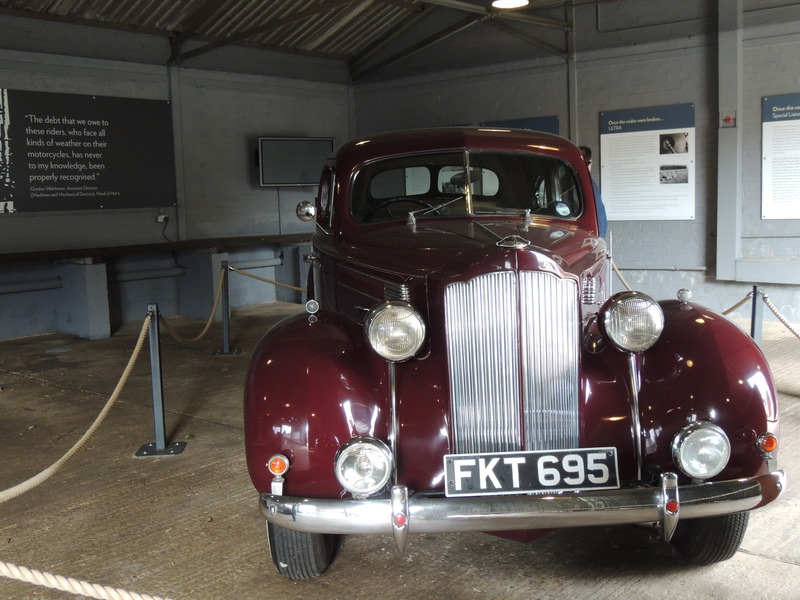 This saloon car was built in 1947 and exported to madras in India, where it remained until it was purchased by Mick Jaggers production company in 2000 for use in the film Enigma. 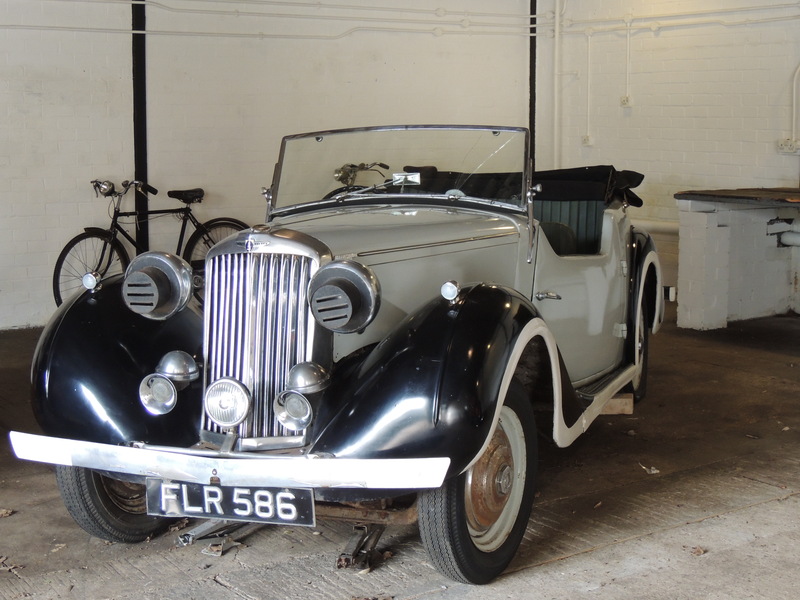 On its return to the UK it was converted from a saloon to a tourer. Notice the blackout headlights. 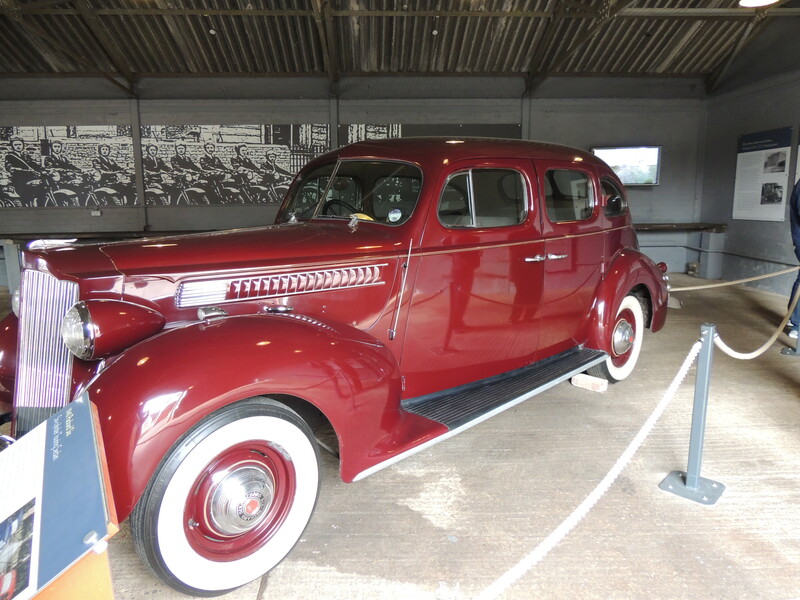 This is one of a fleet of Packard sedans bought by the secret service (MI6) in June of 1940. They were sent to a coach builder in the Midlands where their coloured paintwork was replaced by camouflage. They were fitted with mobile radio transmitter to enable each vehicle to act as an independent mobile wireless station. 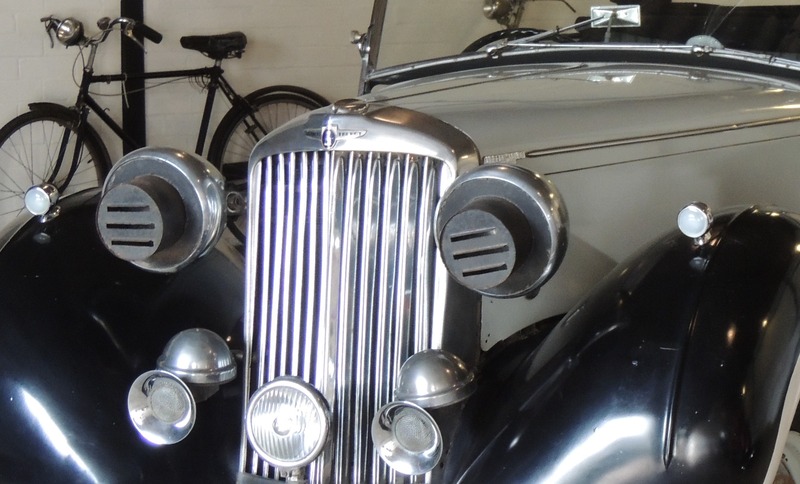 The cars were then dispatched to various war theaters where they acted as special communications units which served to pass on the top secret intelligence that had been extracted from cyphers and signals at Bletchley Park to military commanders in the field. The use of these special communicatiosn units ensured that the top secret intelligence was seen and handled only by MI6 staff and the commanders directing the war. This example was repainted after the war.